We must not forget that the victims stood not only freedom of expression but also captivated audiences by making them question the political atmosphere from a plethora of angles. Their comics criticize a variety of beliefs and views not just a targeted few. Do not let their lives lost lead to blind hatred and racism. The attackers are extremists and could have been any background. It is too easy for us to blame an entire people and focus on such hate instead of standing in solidarity for the virtues we can all agree on. We must all learn to respect one another’s differences and fight for our freedoms of expression and protection of our identity no matter of our political, religious, racial, nationalism, sexual orientaion, gender, economical and so on differences. We are all imperfect and far from the images we see of ourselves or how others see us. It is pathetic how far we perpetuate or descriptors of difference. I dream of a solidarity where we can all respectfully express ourselves without fear. 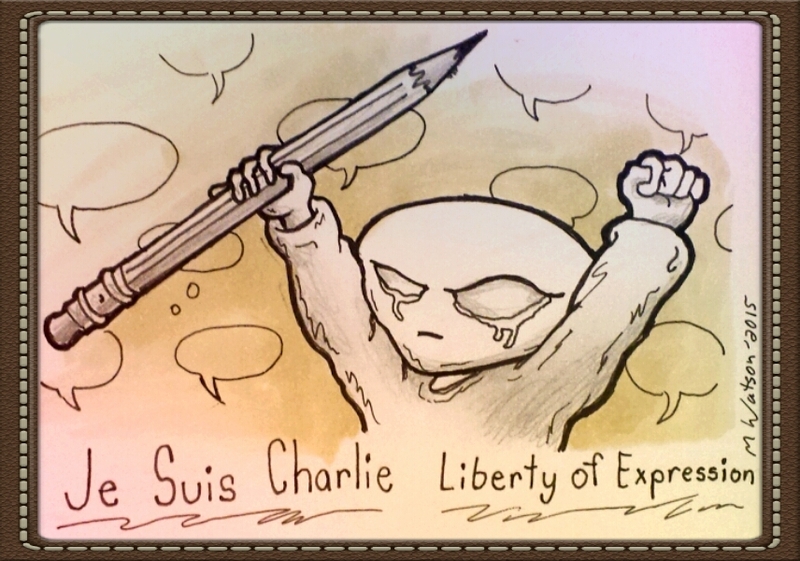 Je Suis Charlie! !